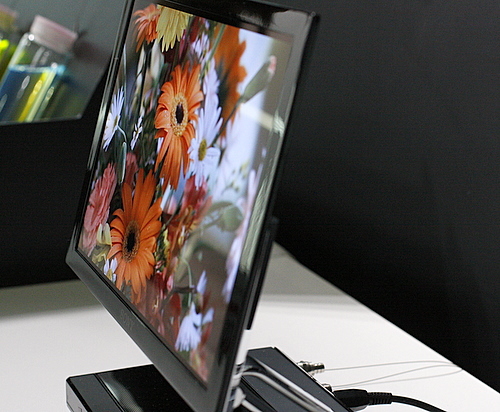 Popular Science Blog - I Want My Big OLED TV! I Want My Big OLED TV! After years of promises from tech companies and premature prognostications by magazines like—oh, PopSci—the OLED TV is here. All 11 inches of it, for about $1,700. What? I’m supposed to shell out all those bucks (Actually Yen, since it’s only in Japan) for a glorified portable DVD player? Sure, the colors are brilliant, the contrast is eye-popping and the screen is implausibly thin. But let’s remember the main reason we love new TVs—because they’re huge. At least we still have cool OLED watches to bide the time. I'm just happy that we're finally getting some of that cool tech we were all promised as kids. Looks like fun technology, but it's not entirely practical, I suppose. I'm looking forward to G.E. 's roll-like process for manufacturing OLED material that could be used for lighting and “paper-thin” OLED TV’s. When TV manufacturers have that available, the sky's the limit as far as screen sizes go. Your big OLED TV may be coming soon with GE's roll-like process that could be used for lighting and “paper-thin” OLED TV’s. When TV manufacturers have that available, the sky's the limit as far as screen sizes go. Apparently 2009 will be the year that Sony releases a larger, affordable OLED TV. I got to play with the XEL-1 and it's very nice, but not for everyone. Liquid Crystal Display (LCD)had enhanced the pleasure of watching any thing on scree. Now the trend is towards HD display rather than to purchase LCD people focus on having a HD device.